Hair products can be one of the hardest areas to switch to natural versions. It really shouldn’t be this way but often times it is. Perhaps it’s because there are so many hair products out there that we just do not think we could possibly make our own. However, this is not true! It’s very possible to make your own hair products and they can be just as effective. 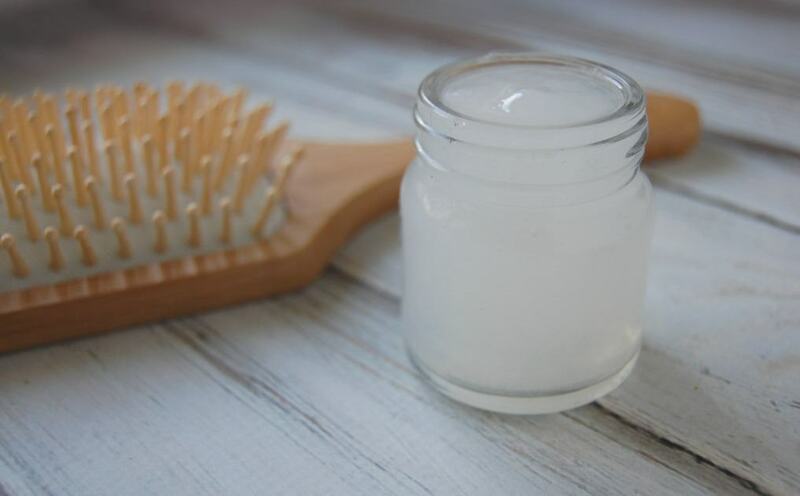 I’ve found that to be true with my homemade hair spray which just uses sugar and water and now I’m going to show you that you can even make your own hair gel! I first thought it would be great to find a homemade hair gel recipe to use simply because it would be natural and frugal. However, as I started researching hair gel, I realized that not only could I save my hair from harmful ingredients (ingredients like benzyl salicylate, PEG-8, and fake fragrances) but I could help my hair by including beneficial ingredients. 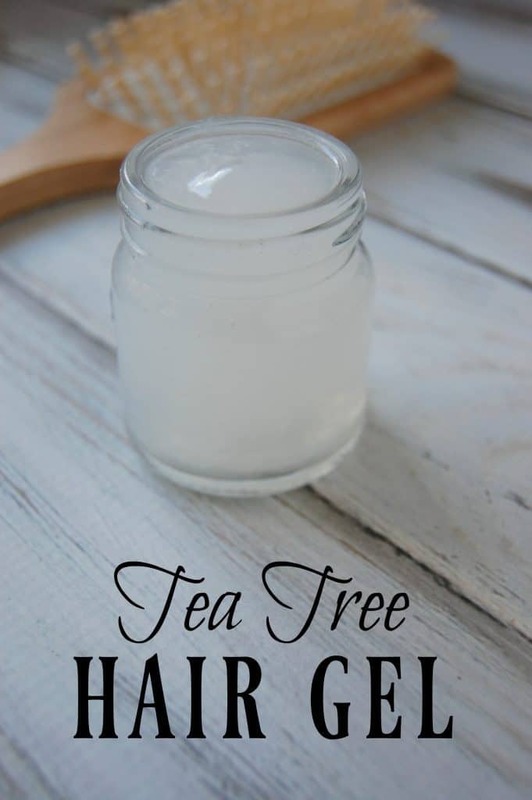 This is why this recipe is not just for any old hair gel but for Tea Tree Hair Gel. Of course, you are welcome to leave out the tea tree essential oil but if you want those bonus benefits then you’ll want to add it in! Tea Tree essential oil is known for its antibacterial properties. It’s used in all kinds of products and hair care products are no different. Tea Tree can help with dandruff, lice, remove build up, normalize hair’s oil levels, help moisturize dry hair, and even help promote hair growth by unclogging blocked hair follicles. With all those benefits, I knew I just had to add Tea Tree oil to this hair gel! Mix gelatin and hot water in a bowl. Stir for 2 minutes until dissolved. Add in tea tree essential oil and stir well. Transfer to a clean jar or container (whatever you would like to store your hair gel in). Place in refrigerator to thicken; about an hour or two. Take a tiny bit and rub between your palms to warm it up. Use as you would normally use hair gel. Store in the refrigerator between uses. Should last around 2-4 weeks. Note: If you would like a hair gel with more hold then use more gelatin. Need some more natural hair care ideas? So excited to try this! Hair gel is the one thing I haven’t been able to replicate and be satisfied. I’ve tried flax seed but it didn’t hold curl well. Thanks for sharing! How does this leave hair feeling? Is it oily or crunchy or heavy? I’d love to try this for one of my boys who has crazy stiff and coarse hair. If you use too much it can leave it a bit crunchy. I’ve used it on my son’s hair and it worked well but if I used too much it could leave that weird flaky residue.